Personal is Heretical: Theater J's Andy and the Shadows, reviewed. To paraphrase the leader of the free world, let me be clear: I liked Theater J's premiere of Artistic Director Ari Roth's long-gestating, heavily autobiographical play, Andy and the Shadows. I liked it a lot. It's too long, its references too scattered and too many, and at the end you feel like you've spent the the time in the company of a hyperactive (if uncommonly sensitive and articulate) 19-year-old who just will not stop talking, ever. But these are good problems to have. Overreach is better than undereach. And the cast is just tremendous. 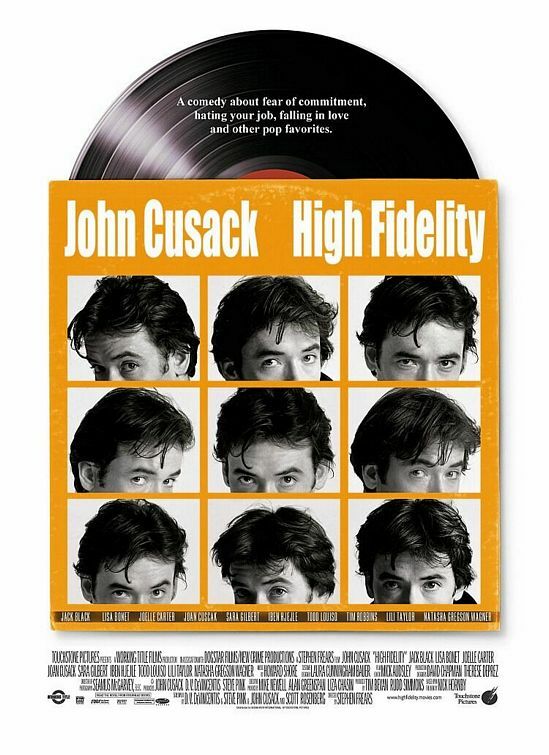 The play, as I note, has been around in some form since nearly a decade prior to the publication of Nick Hornby's novel High Fidelity in 1995, which means it almost certainly also predates Stephen Frears' Y2K film version of the book. Nevertheless, the play's likeness to the movie is sort of uncanny. My review of the play in today's Washington City Paper lays out the evidence. Any resemblance to fictional persons, living or dead, is accidental. Peter Marks's review of Andy and the Shadows from yesterday's Washington Post is a fine piece that does an exceptional job of elucidating the rarer attributes of the play's structure and key performances. I found myself nodding along with his notice as I read it. FURTHER READING: I interviewed High Fidelity author Nick Hornby in 2009. That's in two parts, here and here. Get Going: Bengies Drive-In opens tonight.